Here's a link to the vocabulary for this story. This is the story of CharlieOx, a horrible, wonderful creature. CharlieOx probably smelled like dirt. He must have smelled like dirt because he lived in a cellar for years and years and years, and it smelled like the dirt it was built on. This cellar was in a big, old house on the top of a very steep hill. And the cellar was a perfect cellar for that house. It was cold and damp and really scary, even if you were a very brave person. 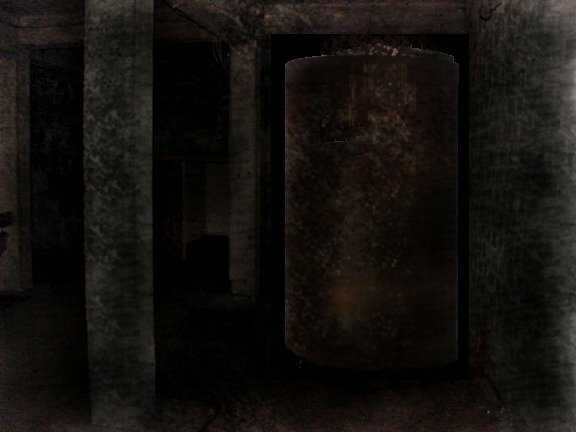 The scariest part of the cellar was the part CharlieOx lived in. 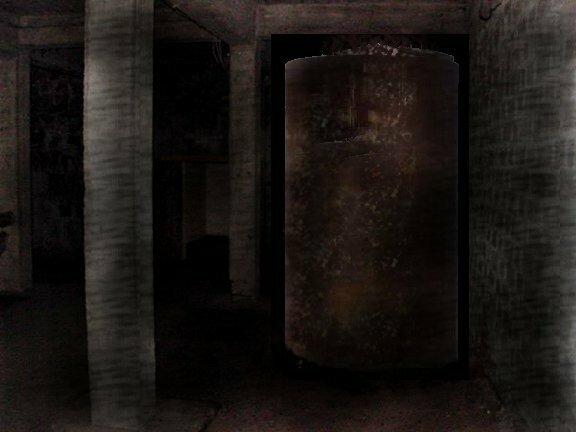 He lived in a very large, old emptied-out water cistern in the darkest corner of that very dark place. At least, that where the family came to think he spent most of his time. 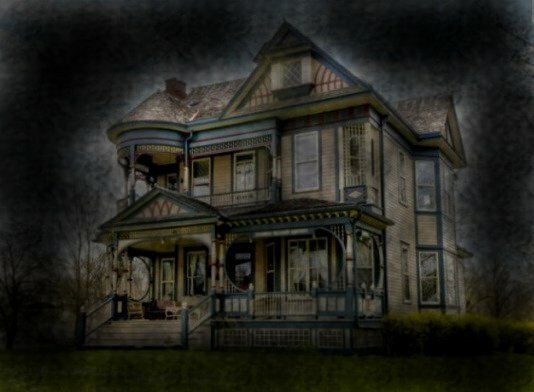 It was the Quinns who lived in that big old house, with its spooky cellar and its monster. They were a perfectly normal family. Mr. Quinn's dark hair was already grey at the temples, and his eyes twinkled from behind gray-framed glasses. 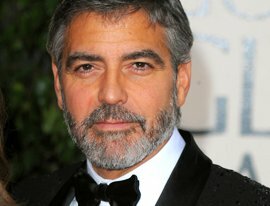 At 6 foot 5 inches tall, he towered over his pretty, plump schoolteacher wife with her short, wavy brown hair, and snapping green eyes. The Quinns had four children - Sara, Ellen, Matt, and Anna. All of the children but Ellen, who had strawberry blonde hair, had inherited their father's thick dark hair and blue-grey eyes. Sara, age ten, was bookish and rather shy. She wore big plastic framed aviator-type glasses, and as the oldest, it seemed to the others that she never did anything wrong. 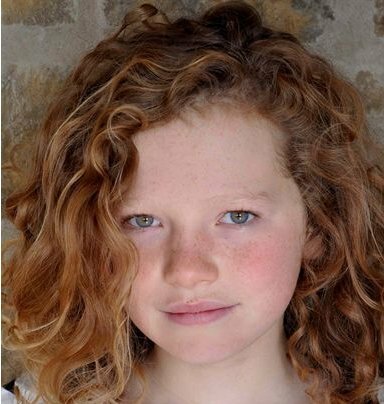 Ellen, at 8, was the opposite of her older sister. She was loud, happiest with a baseball glove on her hand, and ready to tackle any challenge. Matt was 7 and the only boy. He had his mother's sense of humor. Anna was 5 years old, very much the baby of the big family, but sweet, and not spoiled. Something very strange happened one day when their mother and father were upstairs getting ready to go out for the evening. The kids, freshly showered and dressed for bed, the youngest two in their footie pajamas, were eating dinner at the big wooden dining room table, while waiting for the babysitter to arrive. The trouble started when Ellen and Matt got into an argument. No one remembers what it was about. It must have been pretty awful, though, because it ended up that Ellen threw a piece of meatloaf at Matt's head. He ducked. The meatloaf splattered against the wall, and a big chunk slid down. When Matt bent to pick it up, it was nowhere to be found. The meatloaf had slid directly into a hole in the floor, a hole that had been cut for a water pipe ages ago. Now, instead of the pipe, there was a meatloaf slice sized hole. 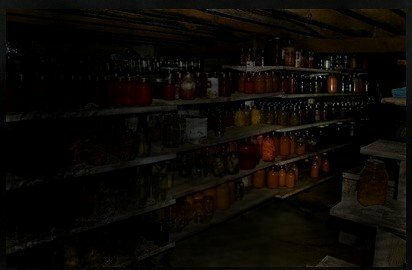 All of the kids, except Anna (she was too little), knew that hole was directly above the shelf in the cellar where their mother stored canned tomatoes for the winter. They knew it was just a matter of time before she went to get a jar of tomatoes and found the meatloaf. There was a rule in the house: no food was to be wasted. And those who broke rules had to weed an extra row in the garden or spend time alone in their bedroom. The kids were arguing over who had to go down to get the meatloaf, when all of a sudden, out of nowhere, a deep, rumbly sound came up through the hole. What was THAT?, Matt whispered. Ellen, who had not heard the sound because she was sitting across the table, still mad, yelled at him, What was WHAT, you warthog!? Anna chimed in quickly and said, I heard it, Matt. But maybe it was your conscience. Dad always says that if you listen, your conscience will roar at you when you do something wrong. Sarah smiled at her little sister and said in an "aren't-you-cute", big sister way, Dad does say that, doesn't he, Anna? Something is down there. Matt said in the same nervous whisper, ignoring his sisters' exchange . 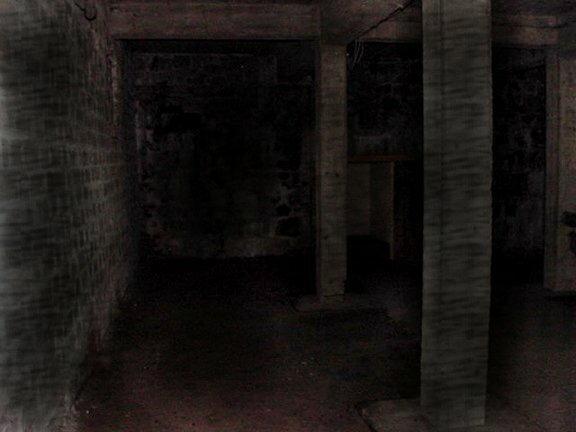 I am NOT going into that cellar. YOU threw it, YOU go. Even though Matt had deserved to have the meatloaf thrown at his head, Ellen was not going to risk their mother finding out that she had thrown it. So she jumped up and headed for the cellar door with a very scornful WhatEVER! She was back in a flash, breathing like she had been playing tag as hard as she could. Ellen was really brave, so when the other kids looked at her, they got scared, too. Something is down there! she gasped. I heard it! I even saw something. It was really big, and really dark, and it roared! Didn't you hear it!? Anna whispered, Consciences aren't supposed to be really real! and she burst into tears. Then she started yelling, Daddy!... Daaaaddy! Come HERE! Sara quickly jumped up and covered Anna's mouth with her hand. We are ALL going down there, she said. Now she was out of patience, and said to them, in a "you-are-all-stupid", big sister way, You are ALL such children! 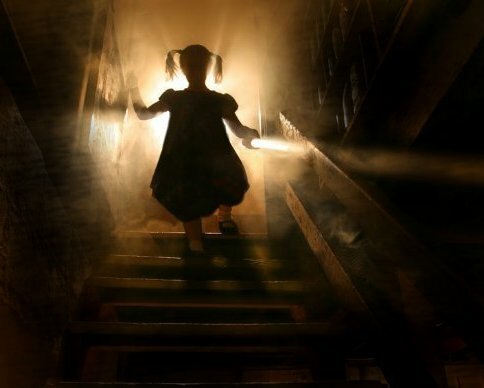 She was the oldest, and she knew that there was no such thing as monsters in cellars, no matter what Dad said about some CharlieOx creature who, about a million years ago, had once lived in his house in New Jersey. They all headed for the stairs. They huddled together and very quietly opened the creaky, wooden door. The dim light that Ellen had flipped on, glowed from below. 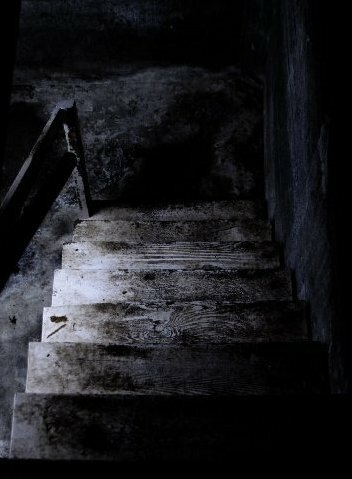 The four of them began to make their way down the steep, creaky wooden steps. It was hard to move in one big clump, but for once, no one said anything about all the smushing together. Step by step, they descended, until they were finally at the bottom of the stairs. Together, they turned almost all the way around to face the big part of the cellar. There was the quietest quiet they had ever heard. No one moved farther and everyone strained their eyes to see into the depths, where the light would not reach. All of a sudden Matt pointed into the dark and asked, What was THAT? Sara, no longer feeling so in charge, cried out, What?! What was WHAT?! And with a great, noisy ruckus, all four charged for the cellar stairs. The racket they made was so loud, that their father and mother ran down from upstairs to see what was happening. The alarm on their father face slowly turned to a small smile ... but it wasn't their father's usual make-you-want-to-smile-too, smile. It was a serious kind of smile that made everyone even more nervous. Ahhhh... he said. CharlieOx. I thought he might be here. What have you all been up to? I guess we better go down and let him take a look at you. With that, their father scooped up Anna, took Matt's hand and with a Now, come on kids, headed for the stairs. The children were all terrified, just as YOU might be if some vague old story you had heard your whole life about a monster, who maybe used to live a couple hundred miles away, was actually real, and the monster was living right there in your very own house. Sara, Ellen, Matt and Anna all wracked their brains trying to remember what they had heard about CharlieOx. They knew no one had ever actually seen him. They knew that he used to live with their father in New Jersey. But even their father didn't seem to know much. Dad was pretty sure CharlieOx had lived in Ireland once upon a time, because his father's whole large family had come from Ireland. It's fairly well known that lots of trolls and other odd creatures live in that magical place. Probably, CharlieOx had simply gotten on the boat with the family when they came to America. CharlieOx was at least a thousand years old, though. Everyone always knew that for sure, including all of their father's cousins and aunts and uncles. You can live in a lot of places and do a lot of things when you live that long. You can know a lot of people, learn their good and bad thoughts, help them, or scare them half to death when you live that long. Their father's Uncle John told their Dad that CharlieOx, (who probably looked nothing like an ox at all), had moved into 51 Gionti Place in North Haledon, New Jersey in 1925. 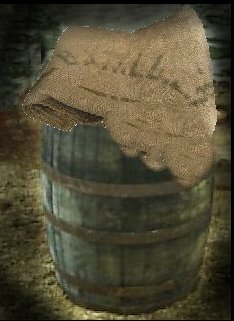 He had lived in the cellar there, too, in a big oak barrel covered with an empty burlap sack, the kind of sacks that horse grain comes in. Uncle John was a very imaginative story teller, like a lot of Irishmen were. But in the case of CharlieOx, their father, and their father's sisters KNEW he was telling the truth. The only part that maybe wasn't true, was the part about CharlieOx eating small children who didn't eat their dinner. That could not really be true because Uncle John, who was a very big man with a very big voice, was the kindest, funniest man in all of New Jersey. He would never allow a child-eating monster to live in the same house that children lived in. Dad thought that Uncle John probably made up the child-eating part about CharlieOx, because Uncle John couldn't think of any other way to make children eat liver and onions, and other disgusting things. At least they hoped that was why. And at least the kids knew that CharlieOx did not capture any of them, even when they were not yet six years old. But then they had the horrible thought that maybe that was because no one went down to the cellar alone before they were six years old. That evening, and over the many years that followed, the Quinn children all found out who CharlieOx was. Maybe not exactly who he was, but close enough. And the life of each of them would never be the same. Once again, Sara, Ellen, Matt and Anna headed back down the stairs, less afraid, but noticing that their father's big stride was a little less big than usual. This time, at the bottom, they turned into the dim space and continued through the gloom, all the way to the back where the potatoes were put to sprout for planting in the summer, where things that the family forgot they ever had were stored, where the air got colder and damper and darker. Their father stopped in the farthest corner, right next to a big tank, as tall as his head and bigger around than his arms could go. The tank was copper colored, but so old it was hard to say if it was actually copper or simply rusty or dirty or a different material altogether. It had no cover, but when you got close to it you couldn't tell that, and even their father who was very tall, couldn't see inside. CharlieOx, I want you to meet my children, he said in a very solemn, and rather quiet voice. CharlieOx, this is Sara, Ellen, Matt and Anna. You know they live here. Just then a scuffly noise came out of that old dried up water cistern. The children pushed in even closer to their father until each could feel part of his arm or hand on their shoulder. They waited. But not for long. From inside the tank came a horrible banging sound all mixed up with what sounded like a low moan. Or maybe it was a quiet roar. Whatever it was, it was enough to make their father say quickly, OK, CharlieOx, we hear you. And with nothing more said, Mr. Quinn turned the family towards the warm light, where their mother was waiting. And that's how it started with CharlieOx and the house in Johnsonville. CharlieOx would make his presence known only sometimes. But he was never forgotten. The Quinn children always him felt him, knew he was tucked away in the far recesses of that cellar. Over the years, the children came to know when CharlieOx was annoyed or otherwise displeased because he would roar at them. And they even came to know when he was pleased... mostly by his silence, but sometimes by the contented noises that occasionally rose out of the cellar when someone had done something especially, wonderfully considerate. Very old houses make strange noises, it's true. But a quick exchange of looks between siblings would confirm that the steady, low, melodic hum that came from below, was not caused by old beams or wiring, or the mice that scurried across them. And maybe that's why the Quinn children grew up to be just a little more kind and a little more thoughtful than children who grew up without a monster in their cellar. Maybe it was because of CharlieOx. Cellar - (say sell-er) A cellar or basement is one or more floors of a building that are built either completely or partially below the ground floor. They are typically used as a utility space for a building where such items as the furnace, water heater, breaker panel or fuse box, might be located. 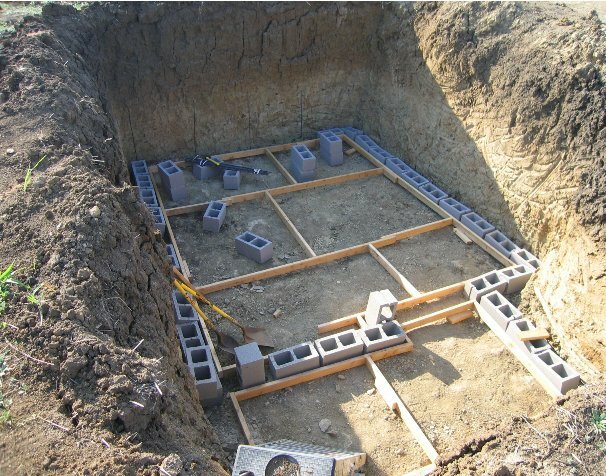 In older houses one might find even a cistern in the cellar. Cistern- (say sis-turn) A waterproof container for holding water. Cisterns are often built to catch and store rainwater. Conscience - (say con-shen-ss) That little voice inside your head or feeling inside your tummy that gives you an inner sense of what is right or wrong and helps you make the right decisions. Considerate - Thoughtful. Caring about others. Careful not to hurt the rights or feelings of others. Damp - Slightly wet. Moisture in the air. Depths -Distance from the nearest to the farthest point of something or from the top to the bottom. Descended - (say dee-sended) To move from a higher to a lower place, like descending down a flight of stairs. It can also mean a blood relative in the direct line of descent. You are descended from your parents and grandparents. Melodic - Pleasant, songlike, sweet-sounding, soft, soulful. 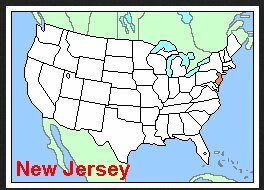 New Jersey - Is a state in the northeastern United States. 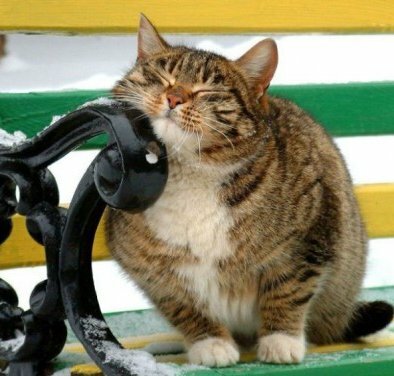 Plump - A person or a critter who is a wee bit heavier than typical for their height, but who is nicely snuggly. Ruckus -A disturbance; a commotion. A group of noisy children who are not behaving could be said to be causing a ruckus. Sense of humor - A sense of humor is the ability to be amused. If you share a sense of humor with someone, that means that you both find the same kinds of things funny. 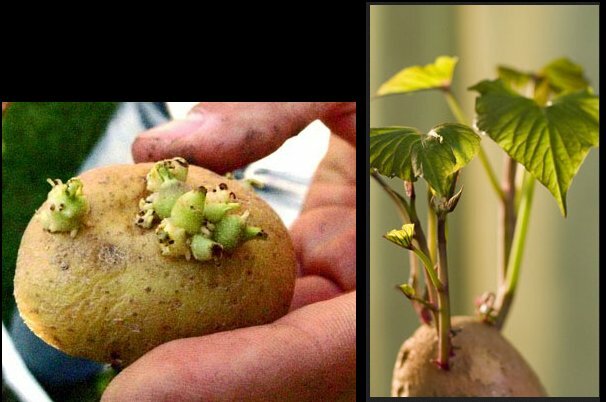 Sprout - (say sprrr-OWT) Potatoes will sprout (grow roots and leaves), and when the weather is mild, they can be planted in a garden. Steep - A slope, flight of stairs, with an angle of ascent (up) or descent (down) that rises or falls sharply. 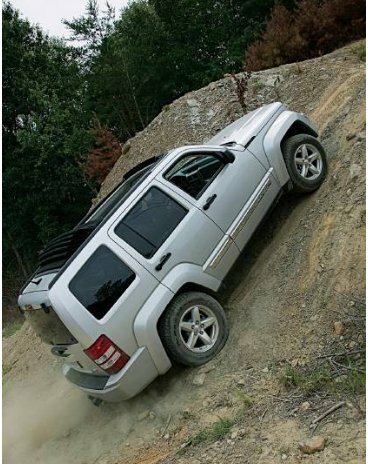 A very high hill shaped like a triangle could be described as a steep hill. Stride - (say strrr-eyed) To walk with long steps. Strawberry blonde - Hair color that is a combination between light red and blonde. Temples - The sides of the head behind the eyes and just above the ears. 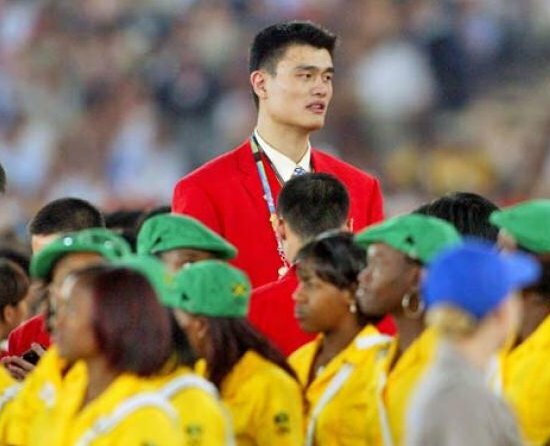 When people get older many see gray hair appear at their temples first. .
Towered - Rise to or reach a great height: The famous basketball player Yao Ming towered over everybody else in the picture. 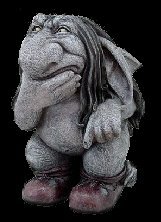 Troll - A mythical creature (that means some people think they're real, and some think they're just pretend creatures) usually found in Northern Europe, but you might see a troll in Ireland now and again. 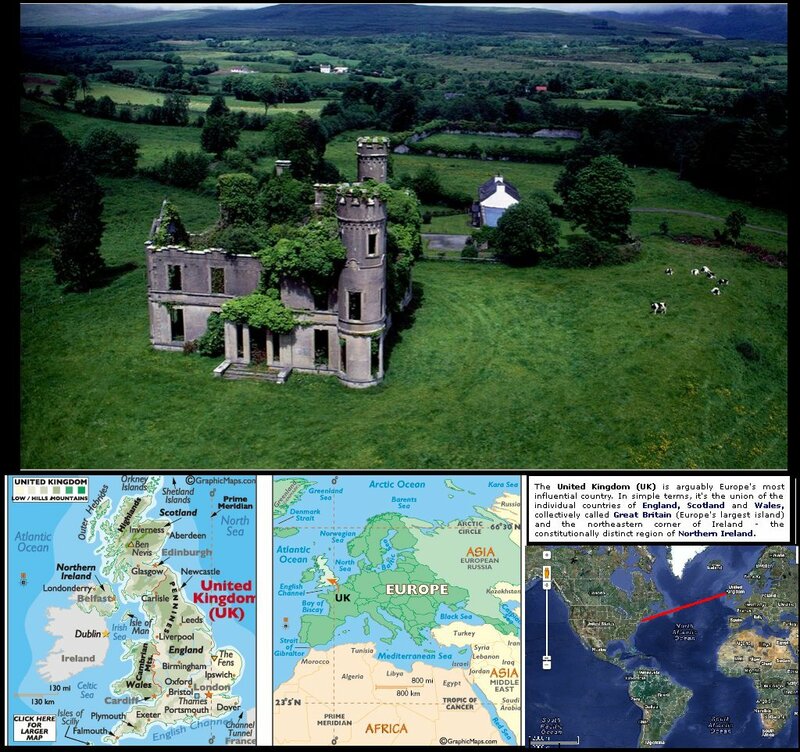 Ireland has lots of mythical creatures, including Faeries and Leprechauns and Dryads and Goblins. 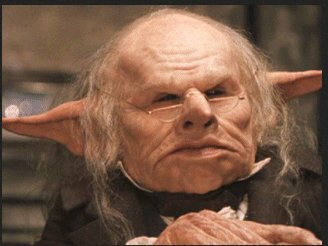 You saw Goblins as the Gringotts bankers in the Harry Potter movies. 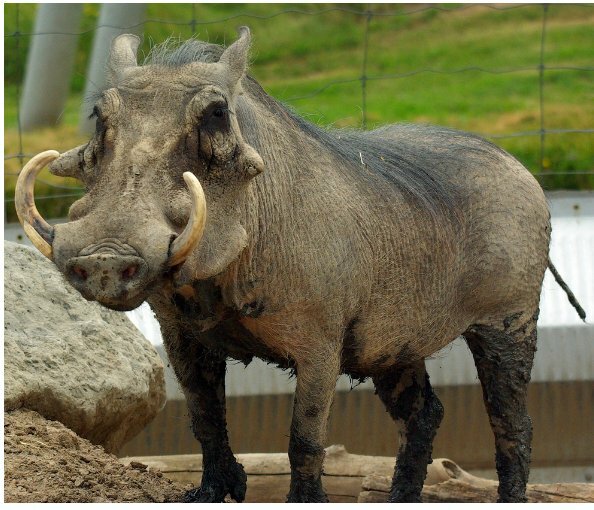 Warthog - The Warthog is a wild member of the pig family that lives in grassland, savanna, and woodland in Sub-Saharan Africa. Wracked - The kids wracked their brains trying to remember what they knew about CharlieOx. That means they practically tore their brains apart, sorting through their old memories. They weren't really tearing their brains apart, of course, it just means that they were trying so hard to remember that it felt like they were turning it upside down, opening mental drawers and flinging socks and old memories over their shoulders as they hunted, creating a total mess while they were at it.